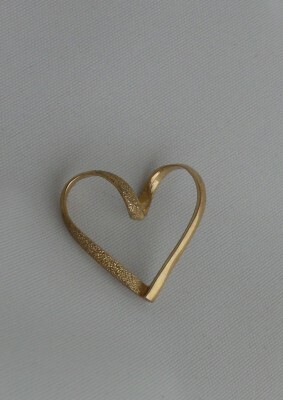 9ct yellow gold heart slider pendant only 22mm x 20mm. Half polished and other half frosted finish. Weight 1.4grams approx. All dimensions and weights are approximate for guidance only.